For the last couple of years, I have participated in a variety of writing challenges to spur my creativity (and quietly drive my wife to distraction). My favorite three were 30 Short Stories in 30 Days or NaShoStoMo, NaNoWriMo, and the 30 Character Challenge. Since I haven’t seen any announcements (and I have a backlog of stories to complete) I thought I would combine two of my favorites together and get 30 cubed. 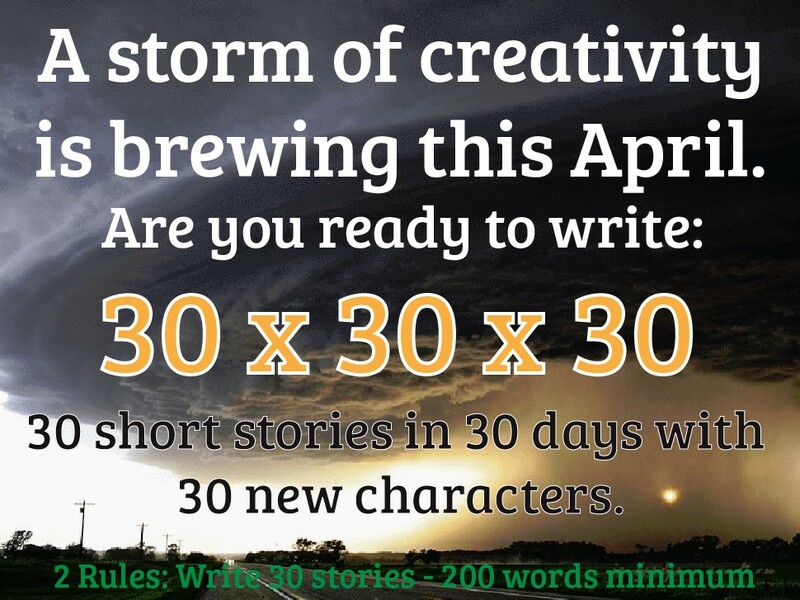 30 stories, 30 days, and create 30 new characters in those stories. I am hoping to have other people see my banners and join in for the fun. If you are interested, please let me know and we can collaborate, talk about the process, and share stories. This contest only has two rules: Any story you write has a minimum of 200 words. Yes, that would be flash fiction, but since it was allowed in the past, we will just run with it. The second challenge is to have 30 stories at the end of the month. Some days will be harder to fill than others and that is okay. This is not meant to stress you, but to challenge your creativity, your willingness to go out on a limb with a story and trust to your ability to create. As far as characters are concerned, you can include a profile (a paragraph will do) at the end of the story discussing the protagonist (or antagonist, if they are more interesting). There is no genre limit but I will be writing science fiction, fantasy and horror as my main genres. You write whatever is moving you, of course. At the end of the month, if you are able to complete the challenge, we will have some badges for you to put on your site showing your participation in the event. Have fun! If you are web savvy, you can place one of these markers at the end of your postings. 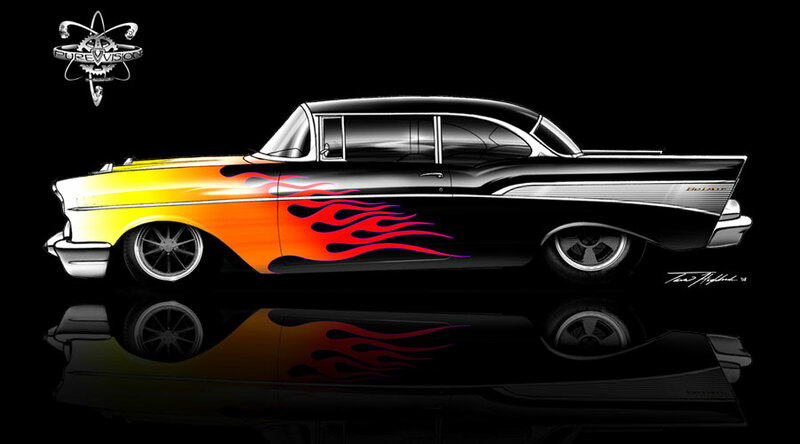 I will make a few other themes when I get a moment. The sun rose over what looked like the city of Cairo. The early morning light cleared the horizon and was bright and sharp, stinging the eyes with its searing, illuminating essence. The duskiness of night, suddenly evaporated in a single moment, stark and striking. The land had an alien presence as if it were someplace else, far removed from humanity, and in its way, it was. This was not Egypt of Earth, though it resembled it very closely. The markets slowly rising, people going about their tasks, farmers working the land, fishermen gathering their nets, weavers gathering their reeds, bureaucrats readying their papyrus, pharaohs discussing the affairs of this place, this Kemet, the perfect Egypt. This was the land of legend, of the thousand and one Arabian Nights, a place of mystery, populated by the spirits of men, lead by the god-born and protected by the remnants of the once-great gods of this place. And in this place, Ptah, grandfather to the gods of Kemet, saluted the morning Sun, his brother-son, Ra as his laughter trailed off into the morning. His laugh was punctuated with the rhythmic stride of running alongside a well formed young man of twenty five or so, it was so hard to remember, it seemed as soon as you got to know them they died, but he liked this young man, full of questions, heresy and rage, eager to take on a world that had done nothing good for him. He had grown strong during his training with Ptah, his body and spirit forged by his time in the Desert Outside of Time. This place was in the boy, filling him with its essence, becoming a part of him, the silence, the vastness, the stillness of the desert, hiding its secrets from all but the most knowledgeable. I brought him out here one last time to reveal the last great Secret to him. He deserves to know where his Fate will lead him. “Thank you, I needed to stop. You say I don’t need to breath or eat or sleep here, but I always feel just as tired as if I did.” Lumumba sat down on a nearby rock and caught his breath, sipping from an old canteen he wore on his belt. “And you will, as long as you believe you need to. You have come here for almost fifteen years and still do not understand the nature of this place.” Ptah’s smile returned to his face as he turned toward the morning sun. “That is exactly what I am talking about Ptah, you never tell me anything useful. Just print that stuff on some fortune cookies and we are in business.” The tone is light and bantering, as this was a conversation that had been chewed on before same as the rough unleavened bread they shared. “Perhaps the idea is to convince you to think for yourself. There may come a time, when such free lunches will be not forthcoming. It will be time for you to leave us soon. We only have one more teacher for you to see.” Ptah was ever-smiling but his face seemed to have another, more subtle, cast this early morning as perhaps a secret burden weighed heavy upon him. “Another teacher? We had been spending so much time together lately, I assumed there was no other teaching left for me, your august company excluded.” Lumumba’s mind cast back to his early days in the Desert. Lumumba stared at Ptah and considered just how long he had been coming to the Desert with its silver sands, strange oases, and perfect palms. The Desert also hid a collection of eclectic folk who wander its sand sea dunes, hidden from the rest of the afterworld. These were wonderful people who trained him in everything from any kind of survival to dining etiquette, combat both open handed and with a wide array of weaponry, ancient or modern, a variety of languages, he could speak nearly two dozen now, without an appreciable accent. He had met people from nearly every culture and every part of the world. They all seemed to be part of the Desert no matter where they were from originally. Everywhere he went, and he was beginning to think, every-when he went, Ptah knew everyone and everyone knew him. There were several times his trainers appeared to be from a range of times, from the Visigoths to Vietnam. It hurt his head to think about it so he just learned to accept it just like everything else he did when he was with Ptah. It was Ptah, and Ptah told him when he met him, to expect the improbable, prepare for the impossible and accept that just about anything could be true, somewhere. Ptah would take him across the Desert, running, they never rode a vehicle unless their teacher used or needed one. Ptah kept telling him that he wanted the essence of the Desert to sink into him. Since he never really explained it, Lumumba let it go as the random nattering of a senile deity nearly eight thousand years old. Once they reached their teacher, Ptah would leave and promise to return. Eventually he would and the lesson would be over. The teacher was never surprised, but Lumumba was never aware of how they would know. Lumumba was never able to tell what time it was and since his watch refused to keep accurate time in the Desert, he eventually stopped wearing it. This had been their ritual with the occasional trip to the City, as Ptah called it. But as usual, nothing done with Ptah was simple, easy or made any sense at all. Every trip to the City, started with a trip to a clothing store where they were both fitted for what amounted to period costuming. There were several different shops but they all seem to do the same thing for Ptah, create stylish clothing that was better than the biking shorts or worse, that skirt thing that Ptah tended to favor. Once he put on a suit, he appeared to be quite substantial and deadly serious. Leaving the clothier, Ptah would head into the city proper and find a particular building, and upon opening the door and passing through it, Lumumba and Ptah would find themselves transported to where ever or whenever, their costumes dictated. Trips to the City, and by proxy, where ever the doors lead were almost always trips that revolved around learning some obscure lesson that could have been delivered by Ptah in the Desert, but it appeared that Ptah enjoyed his jaunts as much as Lumumba secretly did. Lumumba focused his will and his Ka leapt to his command, surging forward and was visible in his fingertips as he held each section of the staff together and smoothed over the separation point until the entire staff was a single piece with the Eagles’ head on the top end. The staff was weighted, but perfectly so, and Lumumba’s spinning of the staff, appeared effortless. He began a staff ritual weaving the staff in a complex series of movements, that while they appeared random slowly began to form a barrier in the area painted by the staff. After a few more seconds, the sands near the barrier began to rise about knee level and stayed there wavering as if under the effects of anti-gravity. “Sorcery using the Ka harnesses the pure spirit of the caster and is best used for creating constructs and barriers that protect the body and the mind. This is the purest of the spirit forms of magic. It is also the fastest cast, and has the shortest span. It also works well between realms and suffers the least degradation in the realms of Men. Creative use of Ka can often mean the difference between life and death. “Good, good, go on.” Ptah was secretly pleased that his lessons had been received so well. The manifestations Lumumba was creating were without flaw. “And as far as I am concerned, there is no greater good that would warrant such a creation, but to not teach it to you would make you vulnerable to anyone who knew it.” Ptah was pleased that this, his greatest gift, had been received well and it would be used wisely. The two had been walking and talking for some time away from Memphis and Ptah had been manipulating their path until they had come to what appeared to be a great forest along the edge of the Desert. “That is the Great Forest. A manifestation of all of the World’s greatest forested regions, jungles, rainforests, and other planted regions. We are expected there. As they approached the Great Forest, the smell of immense age wafted from the Forest. The air of the Desert was dry, crisp with a light metallic taste, the forest’s scent was cooler, mustier, like an old closet filled with woolen sweaters, still but not unpleasant. As they grew closer, the size of the immense trees became more apparent, from a distance they appeared to be the size of a strong man, but when they were closer, it was clear they were much, much larger. It would take twenty men, arm to arm to encircle even the smallest of these trees. The trees vanished into the sky and covered the sun allowing only the tiniest spots of light to reach the ground. Great eagles were also seen flying in the canopy, each, incredibly large, some the size of a small airplane. As they left the Desert behind and moved deeper into the forest, the sense of age only increased and they walked until they had come to an area that seemed older, the trees more bent, great spider webs were woven through the canopy, whispering their secrets, waving in an unfelt breeze. “Welcome, weary travelers to my land,” said a great voice from apparently nowhere. Lumumba looked around but could see no one speaking, and the voice seemed to come from everywhere. “Look up, my son,” Ptah had already found an immense stump to sit on and was pointing skyward. Lumumba looked up and was surprised to see the largest spider he had ever seen dangling just a few feet from his head. It was the size of truck and its eight eyes, burned with intelligence. Lumumba could feel its will pressing down upon him, a physical presence, making the air thick and his movement slow. He wanted to move his hand to invoke his Ka, but he simply could not move his fingers at all. “You say that about all the heroes, Anansi. I am a respectable four feet tall and it has not held me back any,” Ptah responds with a jocular tint to his tone. This eases Lumumba’s fear of the giant spider plucking his clothing and his new staff with its glistening razor sharp pedipalps. “Did your master tell you about me, Horus-ka?” hissed Anansi as it waved its forelegs around Lumumba. The air in the clearing was still as Lumumba considered his answer. Lying to deities was almost always the wrong thing to do, since most could tell when you were. But Ptah did mention that diplomacy when discussing them was always the best choice since gods were known to be a bit thin-skinned, sensitive about their exploits and capricious in the response to how they are seen by humans. Lumumba decided to go with candor. He hoped Ptah would step in before anything bad happened. “Yes, sir, he did tell me some of those things. He said that you stole the stars but spilled them on your way out of heaven so they scattered throughout the sky. He mentioned that you borrowed the sun because you lost your way coming out of the underworld and forgot to put it back when you were done. He also mentioned that you did liberate all of the stories of the world, but you did it so that you would have people pay you to hear them. On your way to the market, it was said that the stories fell into the river from the calabash you carried them in and were lost, found by beggars and fishwives who used them to get money from people. On the matter of fire, he mentioned that you did steal fire for us, but only because you took pity on us one day when we were freezing and you did not have a warm place to stay having been kicked out of Heaven again and so you gave us fire, so you could be warm.” Lumumba had begun to regret his decision as he felt the energy of Anansi building in front of him, its claws waving closer and closer to his body. 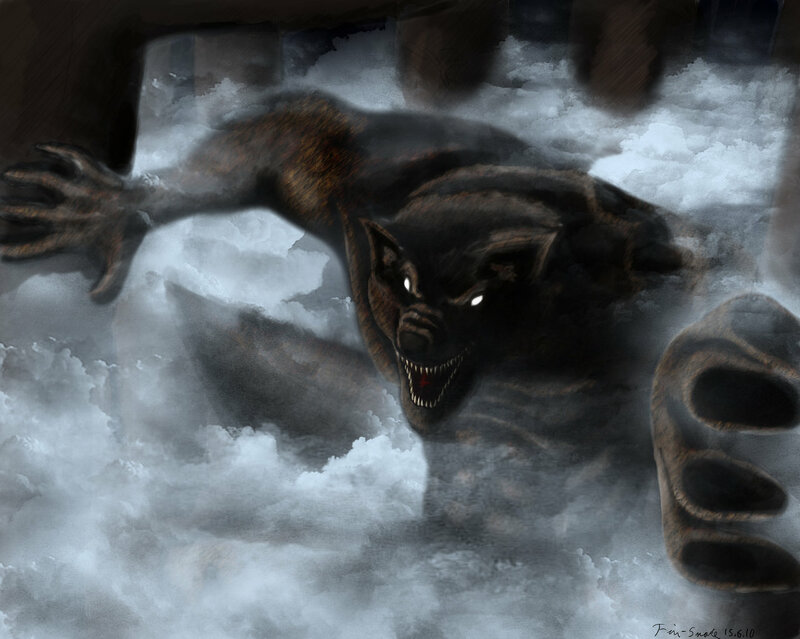 He dared not move since the claws were sweeping all around him front to back, faster and faster. Ptah snickered and turned away from Anansi, taking a sip of water to hide his laughter. “So he did, did he? Anansi whispered. A deep breath followed with Anansi sounding just a little bit contrite. “Well, so that the truth be known, he has not lied. Not once. All of those things are as you say. I am a selfish deity who happens to benefit others while I am trying to benefit myself. As I have done now. He is ready, Ptah.” Anansi stopped waving his claws over Lumumba and backed away. “I am Anansi, The Weaver of Fate, Teller of Tales, Trickster of the Gods, Defender of Man, I am no man. Call me as I am, Kwaku Anansi,” interrupted Anansi with enough force to nearly knock Horus-Ka from his feet. “Forgive me Kwaku Anasi, Ptah, Father to the Gods, I have been taught when confronting evil that force of arms is almost never the only solution to a problem, and that truly winning the battle relies on a keen eye, a strong mind, a full heart, a ready wit and a forceful will. I will only use force of weapons when no other avenue presents itself. This I pledge to you, my masters.” As Horus-Ka completed his statement, two circles of fire formed with a bridge of flame connecting them. The circle around Horus-Ka was filled and surrounded with a variety of cartouches each flickering in multi-colored flame, the second circle about ten meters away was much larger and opened to a vista similar to the Great Forest Horus-Ka had seen earlier in the day with one vital difference. 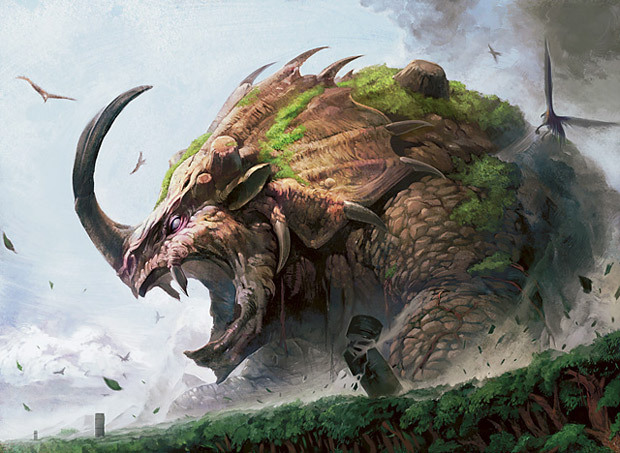 A giant creature seeming to be comprised of earth tore through the Forest and approached the barriers that kept the Forest and the Real World separate. If the scale were to be believed, this creature stood over a thousand feet tall, towering over the redwoods of the Great Forest. Giant Eagles and tiny men sitting on those eagles seemed to be engaging the creature unsuccessfully. One tower had already fallen and when three of them were toppled, the creature would be able to cross into the world of Men. “Who could have done this, how is this even possible? Ptah, you said that the Compact prevented magic like this from even working in the world of Men? The clearing was suddenly lit from the distance as beams of cold white light streaked through the trees and illuminated the webbing of the clearing. Screams of agony and rage are heard in the distance. Ptah turned to Horus-Ka and took a necklace from his bag. It held an icon of a disk with the Eye of Ra upon it. “When I am gone, you will be unable to return here without this talisman. 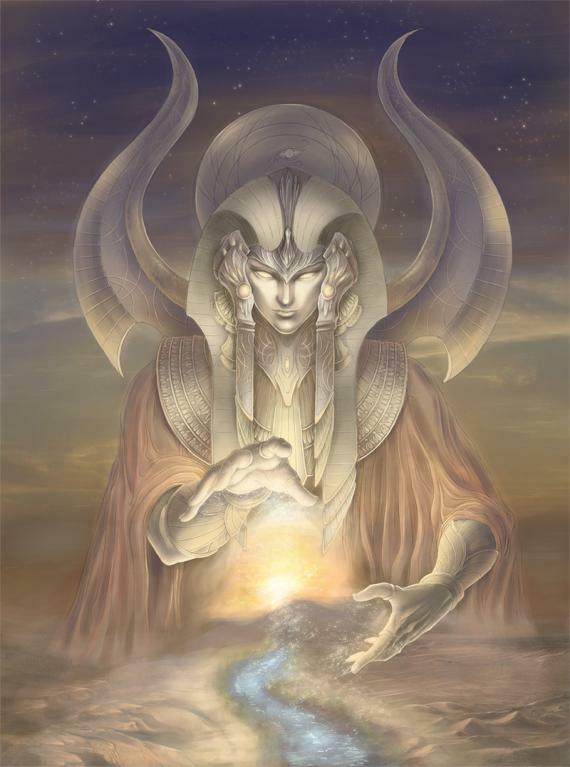 Only Ra will remain behind to protect the Spirit World because he is safe within his chariot of fire. All of the souls here will depend on you once we are gone. Now go. Make us proud. “If heroism were easy, everyone would do it.” Ptah’s armored hand snatches a spiny arrow from the air, mere inches from Horus-Ka’s face. “I am confident you will do what is necessary. Go.” And with that Ptah pushes Horus-Ka into the second circle of flame and into his destiny. The number of lights in the forest increased and the number of eyes those lights came from doubled. And doubled again; and again. Soon the forest was lit and there was no darkness. Ptah and Anansi held the portal open until Horus-Ka arrived. Then the portal closed and was sealed, unable to be opened again. After that moment, no one without the Eye of Ra would be able to enter or leave the spirit realm. This would not help Ptah, who armored with a mighty staff whose head of Anubis, slew any that it touched instantly, a magnificent flaming helm which shot forth beams of the light of Ra, incinerating all it shown upon, whose thews allowed him to strike each hexapedal creature and slay them with a single blow and mighty Anansi, whose webs, fangs, claws, and venom destroyed dozens of these creatures a second, and it was still not enough. Both of these beings were soon overwhelmed and the number of their enemy soon exceeded their ability to slay them, formidable though they both were. But they were not trying to win. They simply needed to buy some time. This was not the real battle. The real battle was being fought in the heart of a boy they rescued twenty years ago against a monstrosity of stone and magic. Anansi projected a blast of venom and hurled a star from the sky upon a cluster of the enemy. His venom seared their stony flesh and the star destroyed then by the dozens. But after a day and a night, he had begun to tire. Standing upon a mound of the dead, he and Ptah were surrounded and exhausted. The six legged creatures fell back for the first time in two days. A man-like creature strode forward, lit by the light of glowing sigils. He had two winged serpents flying over his shoulders. His body was gnarled and bent, but glowed with boundless power. He wore an elaborate headdress and metallic bracers on his arms and feet. His face was covered but the area of the headdress where his face might be was illuminated with a pale light which showed the face in shadow, a long aquiline nose and a cruel sharp jawline. His voice was liquid menace and if a human were listening he would have heard a language thought dead, the tongue of the Mayan Olmecs. “Never send a dog to do a man’s job.” The two serpents turned toward Ptah and Anansi and opened their mouths. A sound like the rattling of a thousand bones of the dead being ground to dust, slowly, agonizingly streamed toward the two gods. Anansi, reached heavenward again and pulled another star from the firmament. The star streaked toward the forest. Exhausted by this final effort, Anansi fell still holding the star only with his will alone. Ptah’s helm shown again with Ra’s Light but it weakened and guttered. Ptah moved the last few steps toward Anansi and he could hear the star’s imminent arrival. The Great Forest was lit from above as the star grew in the night sky. The remaining hexapeds turned their eyes skyward and the Olmec directed his will upon Ptah and Anansi. And then, Ptah’s light went out and a star incinerated the Forest. Horus-Ka arrived about two kilometers from the edge of the forest where the second barrier to the world of Men shimmered in the early morning light. There were many defenders already in place whose variety of weapons were made ready. Some were familiar to Horus-Ka, many were not. The defenders were sitting still preparing their Ka for this final confrontation. Many were invoking sigils that would no matter what happened meant their ultimate dissolution as entities on the Wheel of Life. Horus-Ka did not stop them. Each man had to make his own decision. As he walked toward the forward line, many of the men and women stopped as he passed and whispered. The monstrosity drew closer and nothing being done seemed to have any effect on it. Beams of light and mighty songs rang out, each filled with spiritual puissance. The drummers at this second line began to beat their rhythm and sing. As they sang, the swords and spears of their brothers began to glow and smolder. The creature despite its terrifying appearance was not alone. It had a vanguard of smaller creatures that attacked and destroyed any siege weaponry that might have a chance against the beast. Several mortars were already set up and ranging to the creature was being taken. Several mortar teams had already begun fire and as soon as they did, the creatures turned as a unit and bore down on those mortar squads. The defenders opened up with a variety of rifles and other ranged weapons, including bows, crossbows and atlatls. As long as the drummers played and sang, their weaponry struck the hexapeds blasting hunks of their armor away, blowing off their heads or limbs. But there seemed to be an unstoppable wave of the creatures so the defenders whittled away and slowed the wave of creatures but could not stop it. As the creatures closed, eventually it came down to hand to hand to protect the mortar squads. Grenades were used as the creatures closed, but hand to hand was simply not enough to protect the mortar teams. As each group were eventually overrun, the creatures seemed momentarily confused before they oriented on their next target. The mortars had some level of effectiveness as the creature was being blown apart by the explosive rounds. But the creature’s incredible mass prevented the mortars from striking a killing blow. Horus watched the battle and for a moment, just a moment, lost all hope of stopping the monstrosity. These people were throwing away their immortal lives against a threat that could not have ever been conceived of. Then he remembered his training. Ptah had taken him to a hill one day and asked him why the enemy always sought the high ground. Looking around, he realized that when you have the high ground, you have visibility and can see all of your enemy. Ptah told him if you cannot deny your enemy the high ground, deny him the advantage of high ground. He watched the giant and realized the smaller horde moved where the giant was looking. So the great creature was providing vision to the smaller groups. Deny it vision and we might have a chance. Colonel, I don’t plan on telling Ptah, do you?” Horus-Ka laughed and climbed aboard the eagle. The four eagles took off and the smoke mortar drops began. Two other mortar teams also began fire explosive rounds, this time in front of the approaching horde. The smoke spread quickly and began to obscure its vision. As the smoke grew thicker, the horde slowed its approach. The remaining forces, concentrated their fire, from everywhere, tearing into the hexaped armor. Spell singers, rallied, drummers played their hearts out, their fingers bled and they did not stop. The Horde slowed and for a moment, the firepower of the Spirit Army held the creatures at bay. The smoke was thick and the eagles split off to fly behind the creature to set up their approach. They flew high above the smoke and aligned themselves, with a final wave, all four began their approach. The pilot, spell singer and one commando were on the front half of the eagle, and two commandos were on the back end of the eagle. The smoke was incredibly thick but as they approached the surface of the creature they could see through the smoke and began to set themselves up for the shot. On the ground, the last of the smoke mortars had been fired and the mortars were packed up as the defenders held the line still using their guns and ranged weapons. The Horde was slowed but not stopped but now it was a retreating battle that constantly poured on the firepower. Machine guns mounted on the tanks began to fire into the horde providing cover for the retreating defenders who ran out of ammunition. As the Horde recovered, they surged forward but their sudden charge was broken by a group of warriors riding large cattle with long spears whose tips flamed red and whose shields deflected the leaping creatures, the warriors garbed in red robes, moved as one, their spears flashing and protecting the retreating spirit army members. Their fury was so great the Horde fell back as the warriors sang and stomped the ground in their approach. The cattle whose great horns were armored gored the creatures and flung them about. The spirit army rallied and began to support the great warriors and broke the rush of the Horde. For the first time today, the Horde retreated. The eagles made the final dive, the wind roared in Horus-Ka’s ears and the pilot raised his hand to indicate the time to fire. The spell-singer began her song, clear and crisp despite the wind, her song to the men, focused their attention, hardened their will and they for a moment forgot they were a thousand feet in the air, terrified of a creature from their most terrible nightmare and were less than one hundred meters from that creature; what a song, literally pure magic. The eagle banked and the eye loomed into sight. The pilot dropped his hand and everyone fired. The eagle banked again and pulled away as the explosions sounded behind it. The creature screamed a primal sound, a thousand trumpets blaring and Horus-Ka and his team were directly in the blast. The second team while also successful in the strike were set upon by leaping hexapeds that had climbed up the side of the creature when it saw them approaching it. Their eagle was covered with the hexapeds and the last thing Horus-Ka saw of them was the old colonel firing his hand gun and the spell singer using her magic as a weapon against the horrors and then they faded into the smoke. Seconds after Horus’s eagle was driven from the air by the scream of the creature, tank fire rocked the air and the face of the creature suddenly had craters forming in it as the tank rounds tore through the surface of its stony skin. The smoke was driven away as the mortars and tank fire began to tear into the creatures structure. The creature’s forward approach had been arrested at the third and final barrier and every artillery weapon fired ceaselessly. Blinded, the creature could no longer direct the horde and the Spirit Army while taking heavy losses were destroying the Horde. Drummers who were close to the horde directed their music as a weapon toward the creatures and destroyed them with the vibrations of their drumming. Many drummers died, but none left their drums, destroying creatures with spell, sword and song until the very end. Once the creature was blinded, the concerted effort of spell-singers, blessed artillery, and the concentrated fire of the Spirit Army ground the creature back to the dust from which it was formed. The horde was decimated and hunted until the last creature could be found and slain. Horus woke aching and bloody from his crash. “You plan on lying there all day, do you, lad,” the old colonel said as he offered Horus his hand. “The beast is dead. Your plan while completely daft, worked. Unfortunately, no one else survived but the three of us.” Horus said a quick prayer for those souls lost. 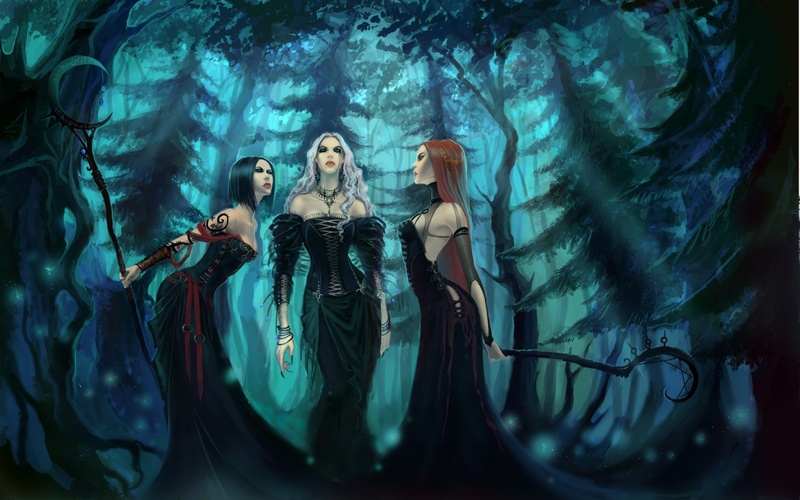 “The spell-singer says the center of this magic is nearby and thinks we should investigate. She is already looking at something, so let’s get you up and at it,” the colonel gruff tone seemed to focus Horus-Ka’s attention. “Hurry up, girls. The bobbies are on their way.” Margaret’s glamour had worn off as she walked into the door, slamming it behind her. Her hideous hook of a nose arched out over her wide mouth, distorted by her decades of constant magic use. She was beautiful once, with wide blue eyes and rosy cheeks, those days long behind her, her flaxen hair now knotty wisps covering her now sunken eyes and hollowed cheekbones. Her dress, ragged, something taken from the body of an unfortunate who made a fine tincture last year. “You know better than to rush me, Maggie. Flying potion isn’t something you rush to get done. The fat has to be rendered just right.” Elswidth was standing over a caldron in the middle of the common area, with a strange arrangement of bottles, beakers and piping winding around the room. She turned a tiny spigot as droplets of rendered fat fell into the dark fluid in the ceramic bowl he held in her other hand. “Ah, such a sweet scent.” The room was in complete disarray, tables and chairs lie broken. Scraps of clothing and dark spots fleck the dimly lit walls. Elswidth’s eyes reflected the poor candlelight like a cat’s. “Was that Malcolm?” Margaret asked? She sniffed conspicuously, eyes narrowing in recognition. Elswidth looked over her shoulder, “why yes it is, how did you know?” Her cats eyes open wide, drinking in every scrap of light. Margaret’s dirty shift and shuffling gait stirred up dust in the hall, each speck twinkling in the light of the full moon from the common room’s skylight. Margaret’s squat and wide form filled the narrow corridor leading into the common room. “Why would I do that? How else did you expect to make it to Prague unless I used all of him. Look at you, fat as a cow. You would be lucky to make it halfway there.” Elswidth spit on the floor and kicked a dirty shoe into the fire under the caldron. “Now, sisters, there’s no reason to fight. We have had a good time in London. It has been very, very good to us, hasn’t it?” Selene came down the stairs, staff in hand, followed by three brooms and a couple of old bags festooned with strange locks that resembled demonic mouths. They opened and closed at random, snapping at each other. Selene was young as witches go, barely a century and looked it. Still lithe, full and sensuous, she filled her sisters with both a hunger and an envy that was easy to see. Her dress, slick, diaphanous, showed her ample bosom and wide hips and it clung possessively to her, looking almost alive. A closer look, might notice its fleshy tone, it silky texture like the skin of a small child or perhaps several small children. Then you might look away. Her eyes, dark, unpleasant, and cold, had the look of a reptile, replete with slitted eyes and flickering lids. Even with this disturbing feature, her face was like cream, smooth, flawless, the result of bathing in the blood of innocents. “Yes, Selene, it has been good to us. We must thank Jack for inviting us. Orphanages aplenty, homeless vagrants, the sick and dying who work in the black smoke filled streets of Whitechapel have made our work all too easy.” Elswidth smiled as she thought of how many young ones this orphanage had when they came to work in it nearly a year ago. There were nearly fifty children whose parents died from consumption. Vowing to find them homes, the three women, with impeccable references, set out to reduce the population of the orphanage through what they claimed was a process of finding the children homes in neighboring countries. A third of the children were actually shipped out of the country and were never seen again. The remainder, too weak and sickly to be of any true value laboring anywhere else were rendered for their essential elements. Margaret called her bag and broom from Selene’s magical wake. As her bag approached, she noticed one of the clasps was unmoving. Grabbing her broom, she hit the bag repeatedly and each blow opened one of the mouths until they were all howling. Once they were all open the bag also opened and she counted the tiny flasks inside. One was missing. Gripping her broom tightly she turned to Selene and lightning leapt from her eyes. Selene turned at the last second and interposed her staff between the lightning and herself, deflecting it into the room. “Sister, you seem upset?” Her smile belied her pretense of innocence. Selene and Margaret stand still for a moment, and a gentle mist slowly forms at their feet. A slow groaning and creaking begins and the house shudders imperceptibly. The crowd outside the house feels a sinister dread and becomes quiet without knowing why. Margaret wipes her hand over her face and her glamour of beauty is restored. She looks prim and proper, a headmistress of an orphanage. Selene’s dress of awful flesh, appears instead as a proper frock of black and white satin and she looks like a young woman in the prime of her life. Margaret opens the door as the nervous bobbie was about to knock. He was very young, a face barely used to shaving. He sported a stylish mustache in order to appear older. His uniform fit snugly; likely a hand-me-down from one of the older constables. His movements and mannerisms indicate he was still not quite used to be obeyed. “Miss Margaret, I am relieved to find you here. I am empowered to arrest you and bring you in for questioning regarding the murder of Malcolm Little, one of the last of your children to be seen here. Your neighbors accuse you of murder most foul.” His head momentarily looked back at the crowd, as if taking strength from their presence. He could hear the sounds of whistles in the distance and seemed relieved that other police would be along momentarily. “No, we shouldn’t have anyone with suspicions to have any further doubts. You are all invited into our sanctuary to see what we have wrought for the children of this part of town.” Selene’s smile beamed over the crowd of ten or twelve onlookers and they slowly moved toward the house. The bobby came into the house past Margaret and saw a well kept, antechamber and hallway that emptied into a common room, with clean and serviceable if not well cared for tables and chairs. Elswidth stood there with a young lad of ten or eleven and the rest of their bags and cloaks. “Satisfied, constable?” Margaret voice was less pleasant than before. “I am sorry I doubted, but I had to be sure.” The constable brow was furrowed as if he were puzzled by something but wasn’t sure what it was. Then he realized what it was. Where was their carriage. Surely, if they were leaving tonight, they would require transport. Before he could ask, he was interrupted by the honeyed sound of Selene’s voice. She had ushered them into the common room and was now standing behind the group. “Such a dutiful gentleman and conscientious citizenry should be rewarded, don’t you think, Sisters?” Elswidth eyes flickered with mischief. She held out her hand and her broom flew into her grip. “Wha” was all the constable could mutter before the room was suddenly ablaze. Selene’s hands were contorted into the ritual signs of flames. Elswidth’s hand gestured with the primal sign of fear, overwhelming fear; coupled with the burgeoning realization of what they were seeing, the townsfolks were all but paralyzed, their vocal cords unable to even tremble, their bladders voided. Speechless, one made the sign of the cross. Margaret reached under her dress and pulled forth a wicked dagger; before the constable could speak again, a crescent of silver flashed in the full moonlight and his blood filled the very air, splashing the frozen townsfolk in this crimson bounty. Her clawed hand formed a binding of hideous strength; without touching him, she held him up in the air as if he were light as a feather. Carving his beating heart from his chest, she dropped his body onto the floor as her demon bag ran over to her its mouths open and eagerly accepting the steaming heart. “Am I forgiven, dear Margaret?” Selene walked past the now burning townspeople whose silent screams filled the house, joining in with those of the children who once lived there. The sounds seeping into the very walls. “Of course, dearest Sister. The heart of Jack the Ripper was a one of a kind prize, but the heart of an honest man and a dozen fools is a close second.” Margaret was still angry but the heart of the constable would make a fine youth reagent, and the bound souls of the townspeople could be harvested and distilled for their next disguises they would need in Prague. As the roof collapses in the terrible fire, people outside the house trying to keep the conflagration from spreading, see three shadows flicker past the bilious moon, the flash of silver buckle mouths opening and closing in its pearlescence. Only once the three of them are gone, do the screams of the damned bleed from the burning ruin and resound for hours in the alleys of Whitechapel.